Jerrod Carmichael has quite the meta moment on his hands. In the second-season premiere of his NBC sitcom, “The Carmichael Show,” the comedian and his cast sharply critique disgraced legend Bill Cosby, a man who helped pave the way for black comedians — including him — on the very network that created Cosby’s superstardom. 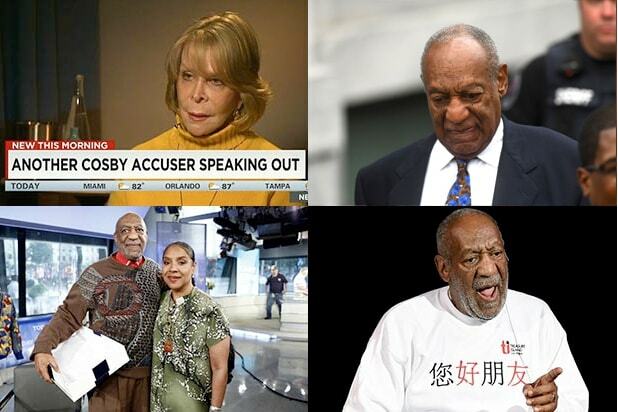 The episode, titled “Fallen Heroes,” airs Sunday, March 13 and brilliantly and simplistically lays bare the heightened and conflicting emotions a great number of African Americans feel now that 55 women have accused the 78-year-old star of drugging and sexually assaulting them. 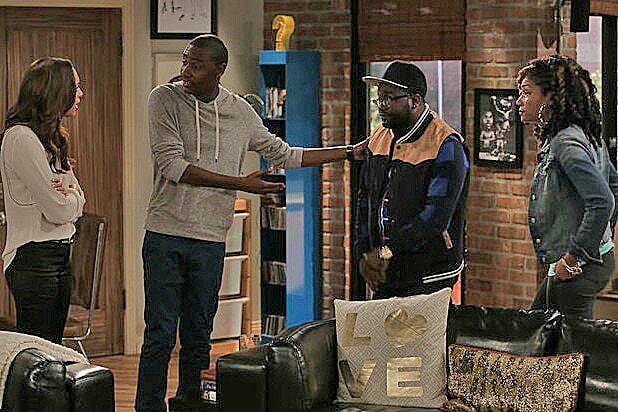 First, “The Carmichael Show” broaches the subject through a fan’s eyes. “We’ve all loved Bill Cosby at some point,” Jerrod the character (played by Carmichael) tells his girlfriend Maxine (Amber Stevens West) as he attempts to justify purchasing tickets to Cosby’s stand-up concert that night. He’s not sure if Cosby is guilty but he knows he’s a comedic genius who will make him laugh and he wants to laugh. But Maxine won’t budge. She’s disgusted by Cosby’s actions and won’t go with him to the show and neither will his mom Cynthia (scene-stealer Loretta Devine). So Jerrod challenges Maxine and Cynthia’s support of Michael Jackson and Woody Allen, both of whom were accused of molesting children, and says talent is bigger than morality. But the two still won’t relent on how they feel about Cosby. So his dad Joe (David Alan Grier), who says Cosby is innocent until proven guilty, opts to go with Jerrod. Before they leave, Jerrod’s brother Bobby (Lil Rel Howery) and former sister-in-law Nekeisha (Tiffany Haddish) jump into the fray offering up more flawed artists and icons. Famous men who did disgraceful and socially abysmal things worthy of forgiveness or banishment depending upon how you feel. Throughout the all-too familiar discussion, Cosby’s barrier-breaking career accomplishments and social and educational contributions are weighed against his tarnished image through a series of legitimate questions. Can a man be a monster and a hero? And is it possible to watch and enjoy a culturally significant sitcom like “The Cosby Show” and separate the fictional Heathcliff Huxtable from the real Bill Cosby? While “The Carmichael Show” refuses to give easy answers or make excuses, it successfully creates a funny forum for an issue that bothers anyone who has ever looked up to this man regardless of race, gender and age. As sitcoms such as “All In the Family” and even “Roc” have proven in the past, it is possible to make viewers think while they laugh. The only thing better would’ve been a longer episode, but in this case we’ll take the 22 minutes we get. Fascinatingly enough, another young black comedian, Hannibal Buress, exposed Cosby’s hypocrisies sparking a storm of social outrage 17 months ago. Now Carmichael is attempting to make sense of the aftermath — and television is all the better for it. “The Carmichael Show” season 2 premieres Sunday March 13 at 9 p.m. ET on NBC.